The exponential divergence of nearby phase space trajectories is a hallmark of nonperiodic (chaotic) behavior in dynamical systems. We present the first laboratory of measurements of divergence rates (or characteristic exponents), using a system of coupled tunnel diode relaxation oscillators. 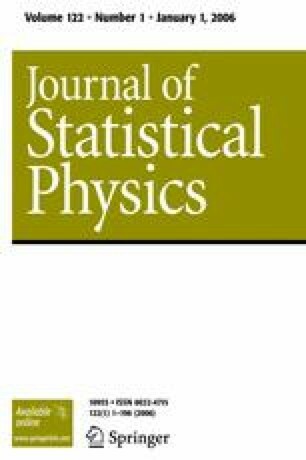 This property of sensitive dependence on initial conditions is reliably associated with broadband spectra, and both methods are used to characterize the motion as a function of the coupling strength and natural frequency ratio of the two oscillators. A simple piecewise linear model correctly predicts the major periodic and non-periodic regions of the parameter space, thus confirming that the chaotic behavior involves only a few degrees of freedom. Work supported by the National Science Foundation and the Research Corporation.